A while back I noticed I had 99 followers. So I decided I would have a secret give-away when I hit 100. Well a day or two ago I did!! Woo Hoo. So I gave each follower a number, used the random number generator and low and behold #45 popped up. This number belongs to my follower Patty C. of the blog Hanging on by a Thread. I sent her an email and hope to hear from her soon to send her the prize - these cute little scissors and maybe a little extra something just for fun. What a cute idea...and VERY cute little scissors too! Thank you so much - The scissors are adorable !!!! 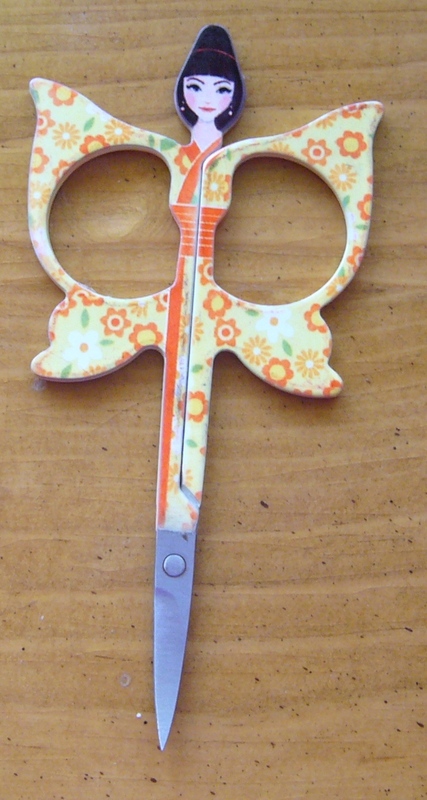 congrats Patty C.these are really cute scissors. How fun! I love secrets and glad you will surprise her. Congrats on all the followers! That was a fun idea! Congrats to Patty! I love surprises! Congrats to Patty!